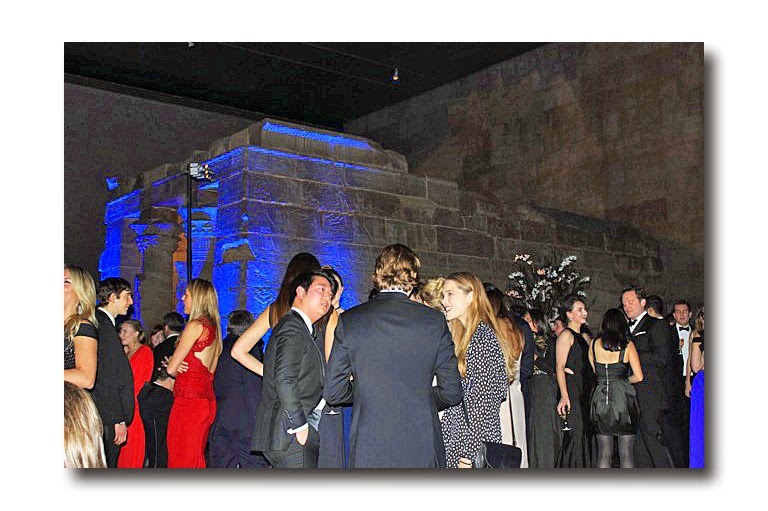 The Metropolitan Museum of Art's Apollo Circle held its eleventh anniversary gala from 9PM to 12AM in the Temple of Dendur wing at the museum. The Apollo Circle, which was founded in 1997, is a membership group for young friends of The Metropolitan Museum of Art, ages 21-39. The black-tie event included dancing, cocktails, and hors d'oeuvres with flowers and special lighting illuminating the grand room of Dendur. The funds raised support the Metropolitan Museum of Art's conservation department. This year the sold-out event was immense with many commenting on the unprecedented crowd. The importance of this evening cannot be underestimated as it gets young people involved in charity work, and gives the museum a way to reach out to future donors and court the progeny of current contributors. The sponsor of the event was Maiyet, the luxury fashion brand which was founded in 2011, and makes ready-to-wear clothing, jewelry, handbags and shoes with an emphasis on masterful workmanship in their products. This night celebrated the Cubism exhibition donated by Leonard A. Lauder, and being shown at the museum from October 20-February 16, 2015. The collection contains paintings, collages, drawings, and sculptures by the four preeminent Cubist artists: Georges Braque, Juan Gris, Fernand Leger and Pablo Picasso. 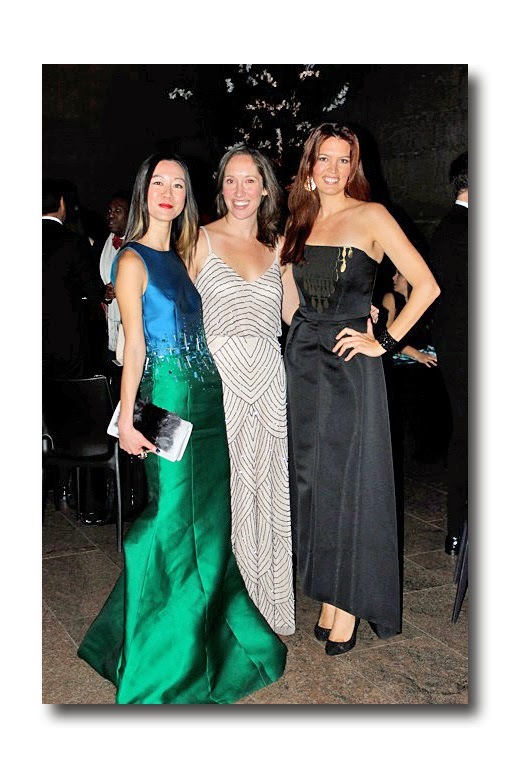 The references to Cubism were omnipresent in the apparel of the night's attendees with numerous women appearing in black & white gowns adorned with square shapes. Furthermore, Maiyet is offering a special collection of scarves in an ode to the Cubism exhibit and there will undoubtedly be numerous references to square shapes in the showings of many designers. The crowd this year did not disappoint with their fashion choices, wearing elegant gowns from Badgley Mischka, Valentino, Maiyet and Ralph Lauren. 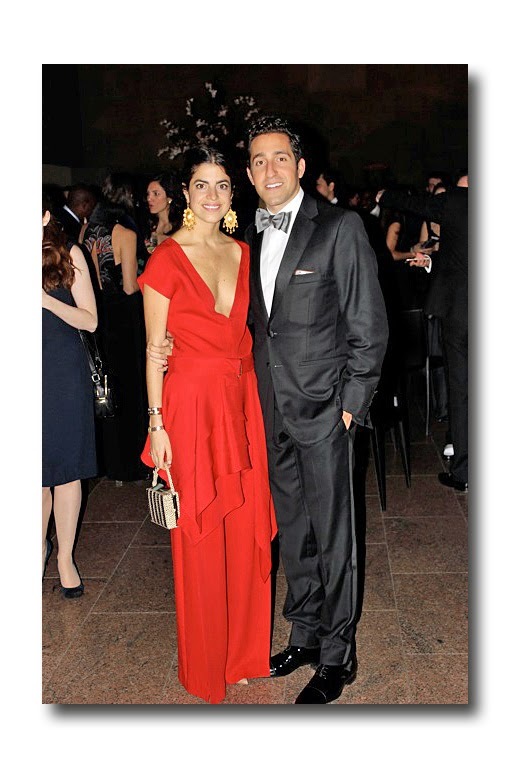 Leandra Medine, from the fashion website "Man Repeller," joined the event as a guest of Maiyet, clad in one of their beautiful red evening dresses. 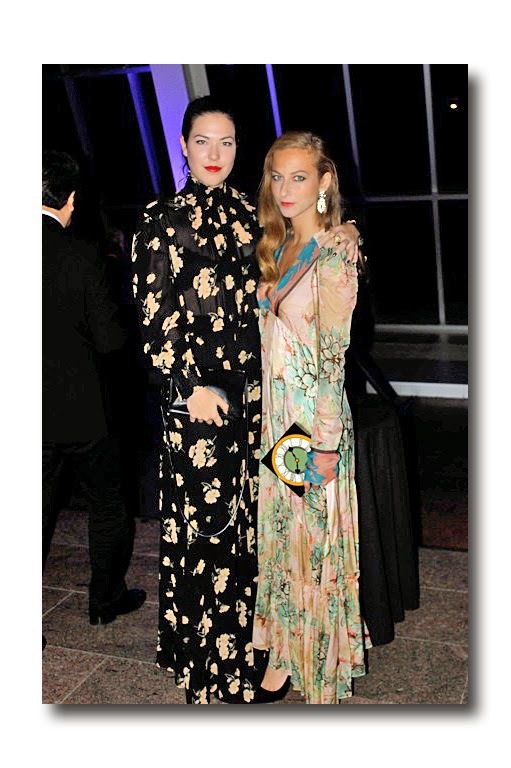 This was Leandra's first time at this affair but she was excited to celebrate Maiyet whose designs she loves because she said, "they are unfussy and highly elegant." Unlike the women who came dressed in multicolored, vivid evening wear, the men were in classic tuxedos with only a select few spicing it up with silver vests and sequined suits. There were many on hand to observe the fashion at this significant event with Refinery29 Senior Style Editor Annie Georgia Greenberg in the crowd trying to assess whether the attendees had achieved the ultimate goal of appearing "dressed up with effortlessness." One person who fit this description was Amazonian designer Tessa Morehouse, of the fashion label "Velvet Antler," who was striking in a feathered black dress. Morehouse lamented the absence of women with flair and attitude at this gathering, preferring to play it safe with beautiful and demure attire. Despite the current lewdness displayed at celebrity award shows and in numerous magazines, the crowd this evening was surprisingly modest allowing the beauty of their varied shapes and styles to take center stage. There were some fashion trends on display that were worth noting. First, black & white was ubiquitous and by far the most prevalent color combination of the evening with few solid black gowns in the group. 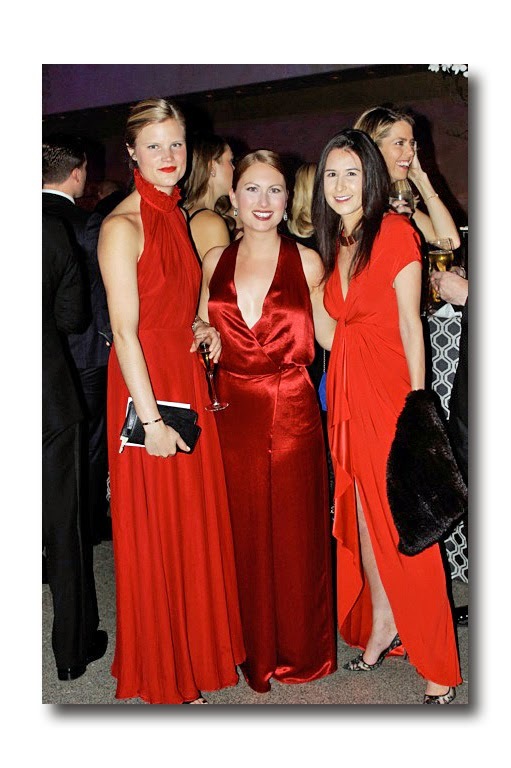 Secondly, scarlet and blood red was abundant, with dresses lightly accessorized so as to highlight the drama of the gown. Thirdly, white, even in its summery version, remains a viable fashion choice, even for one of the coldest nights of the year. Lastly, women come in all shapes and sizes, and there were many voluptuous women who were dressed in colors and sparkles refusing to remain invisible in black ensembles (thank you Adele and Lena Dunham). As the clock struck midnight, the crowd began to thin while DJ Brendan Fallis and Hannah Bronfman continued to spin their tunes with a more manageable dance floor. The attendees were waiving their napkins and yelling the tunes with a friend observing how special it was to dance around in the midst of a 2,000 year old temple. 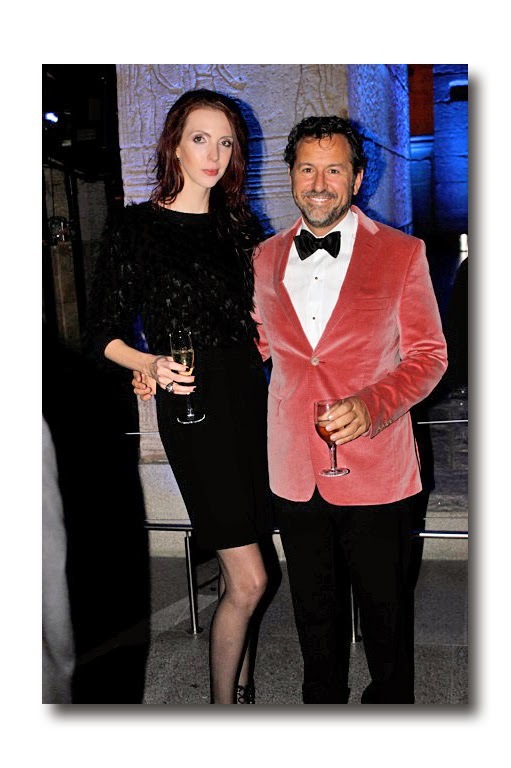 This evening remains one of the premier events in the social calendar of the elite young New Yorker because it combines history and modernity, not unlike the Cubist collection being celebrated at this unique gathering.